CAPe is an extranet that shows how limitless (our) web technology can be. 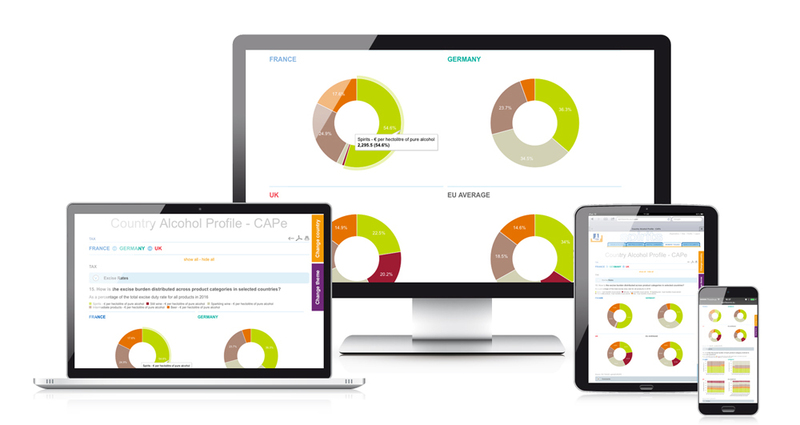 It is a tailor-made website that allows members of spiritsEUROPE to compare country data and create their own graphs on the fly ! But there is more : they can also create their own PDF reports in no time and print or send the graphs produced by the system. Nice, neat reports. This online tool is protected and only visible for members. But we can assure you that we created a clear interface that requires no training whatsoever. So, members do not even need a helpdesk to use it. It is intuitive and fast, all based on open-source software. Obviously, it took a lot of efforts in design and navigation-prediction to make such a sophisticated tool that user friendly. But that’s the way we are. We do not only think about YOU. We also think about your users ! We also designed a flyer to promote this amazing online tool. 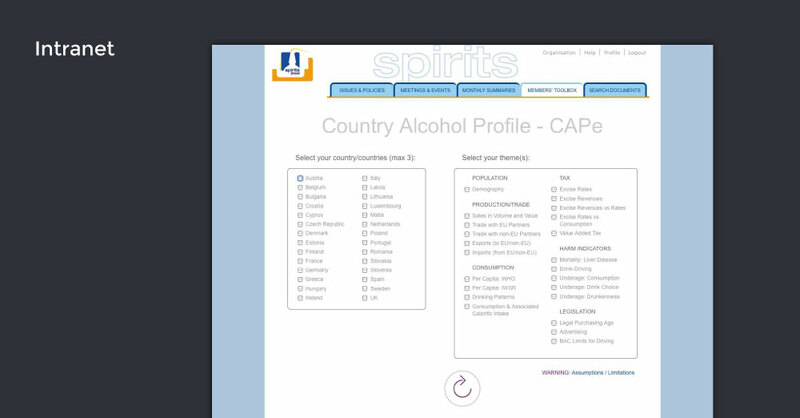 The flyer, destined to spiritsEUROPE members doesn’t even have to explain how to use the tool — it’s intuitive — it simply promotes the ease of use of this web-based comparative tool. 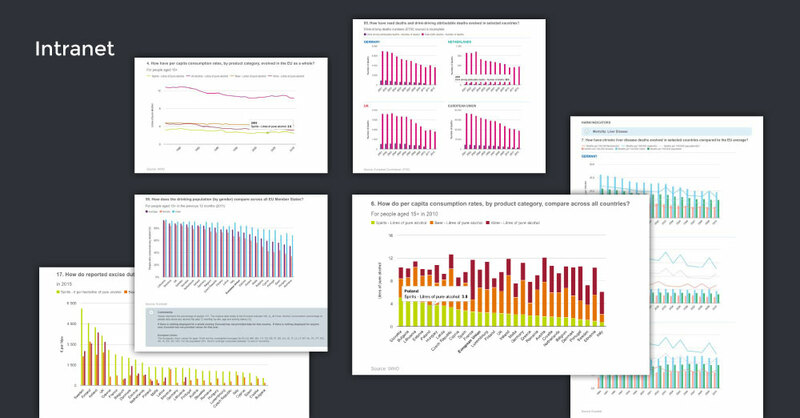 Members can create hundreds of charts in real time after having selected country data from two or more of the 28 European countries. And all that, in one click! 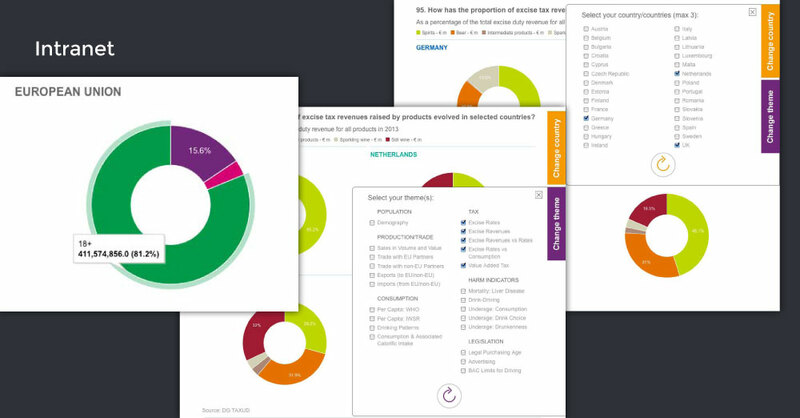 The online tool covers tax, production, consumption, etc. 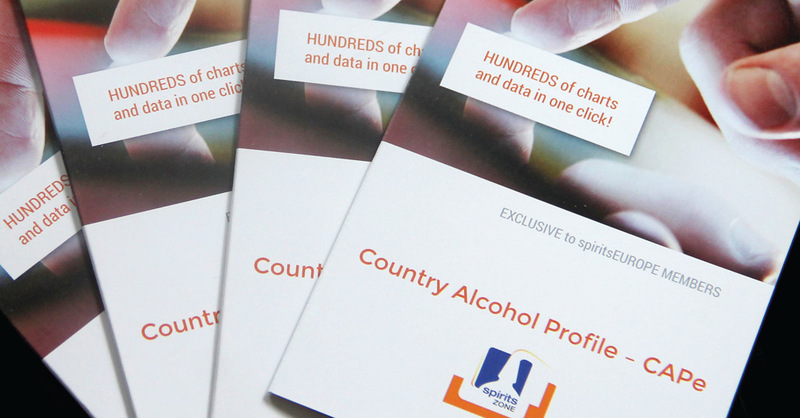 It combines data on spirits, wine and beer and tailors the information members need. We recently added interactive maps to it.